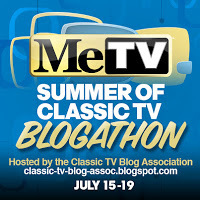 This entry was posted in Television and tagged 1950s, 1960s, Blogathon, Classic Television, Hugh Beaumont, Leave It to Beaver, Me-TV, Me-TV's Summer of Classic TV Blogathon, Nostalgia, Television. Out of the entire blogathon, this is the post I’ve most been looking forward to reading. “Leave It To Beaver” is the series I watch most often on Me-TV. Watching the show as an adult, what really jumps out at me is the interplay between Ward and June – something I completely disregarded when watching the same reruns as a kid. For instance, in “June’s Birthday,” the phrase “Ooh-la-la” is emblazoned on the back of the blouse Beaver gives her. As Ward stands at the bottom of the stairs while June walks up, he teases her by stating, “Ooh-la-la!” For TV in 1959, that was pretty edgy. On a completely different note, that episode also has one of my favorite (among many) scenes of the series – when June realizes that Beaver is among the children that have come to sing for her group as a surprise, and that she has been caught in her lie about wearing the blouse. Barbara Billingsley and Jerry Mathers both show so much emotion on their faces without having to say a word. I enjoyed your great post about Ward’s journey. Far too often, this series is disregarded in our modern, cynical times as a “Father Knows Best” type of series, while, as your post states, this is actually far from the truth. 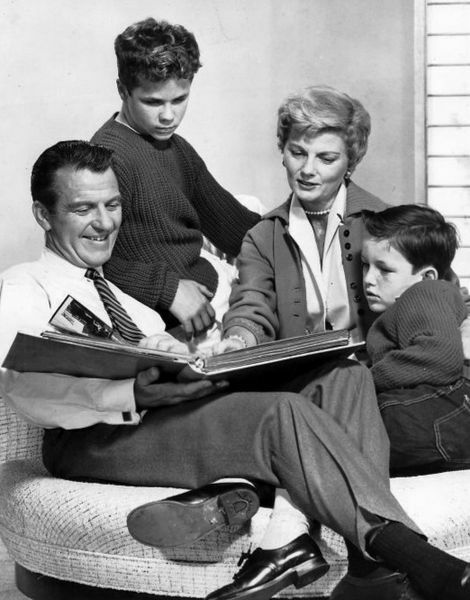 Despite what those people say, there are no perfect parents on “Leave It To Beaver,” which helps to make it a classic. Thanks for taking time to write such a thoughtful comment. I really enjoy the Ward and June scenes now too–as a parent I appreciate the obvious effort they are making to raise their children in a positve way, and the misteps they make along the way seem very realistic. I also enjoy their affectionate and supportive relationship–which is strong enough to withstand the exchange of a humorous dig now and then. I need to watch “June’s Birthday” again; I haven’t seen that one for a while. Barbara Billingsley didn’t always get the best material to work with, but when she did, she made the most of it. I really enjoyed your article which spoke to the truthful core of the show. 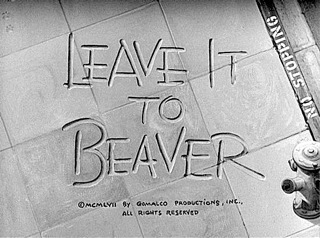 “Leave It to Beaver” is such a well-written show that really touches the mine, heart and funny bone. I really related to June when she called Ward at the office when Mrs. Rayburn wanted to see a parent. June just couldn’t go because the principal always makes her feel like a little girl who’s done something wrong. The show is filled with moments like that – they live with us. Thanks for commenting! There is definitely a lot more going on in Leave It to Beaver than a casual look would suggest–I suppose that’s why it’s gotten a bad rap in some quareters. The way certain scenes and lines linger in your mind is definitely a testament to the show’s lasting appeal. I really enjoyed this post. A few years back we bought, on a lark, season one of “Leave It to Beaver” and watched it all summer. It was so much fun we bought season two. (We’ve stalled … and need to get back to it.) I agree with your observations about Ward … he did struggle with how to be a good father, but because he was aware of the difficulty of the task he almost always came up with the right solution. Or, if he didn’t do the right thing, he learned from his mistake — just like the boys did. There’s a lot more truths in this series than people give it credit for, and I for one think the show is tops. Thanks for such an insightful post! Thanks for your comments! I’m glad to see that the show still resonates for many people. It’s too bad that some people are blinded by its incongruities, like June vacuuming in pearls and high heels, to see how much authenticity the show has. I have the first two seasons on DVD, too. The whole series is also available on Netflix now. This was a wonderful post, and I have to admit, watching this show again on Me-TV, I’ve been looking at a lot of the subtler points. I agree about Ward’s journey to become a better father, and it is interesting to see how he recalls his own farm boy childhood. Also, Beaumont had some great deliveries. He always makes me smile. I also agree that this show gets a little unfairly maligned with regards to the conservative 50s. It’s the one show that everyone brings up when they talk about the myth of suburbia. As a Mexican American who grew up in the same situation in the 80s, I think a lot of it was right on track and relatable to everyone. Btw, I just watched the 1983 reunion movie Still the Beaver and loved it. Beaumont passed away about a year before the movie, but he’s there in the flashbacks, and his presence remained strong. I miss him. Anyway, needless to say, I loved your post! Thanks for taking the time to comment. When I picked Leave It to Beaver as my blogathon topic, I wasn’t sure that many people would still be interested in it. I haven’t seen Still the Beaver since it first aired–I really need to seek that out. Oh, you have to try to catch this show sometime. I think you would enjoy it. Marvelous post! I love the comment you included from Joe Mosher about creating a “child’s view of this world.” I don’t think any TV series did that better than LEAVE IT TO BEAVER! 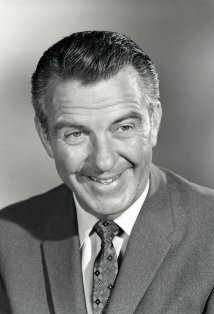 Ward Cleaver was a great father because he made mistakes and, once he was aware of them, he would take responsibility for them. You know, I don’t remember Ward’s references to his father, so I will look for them when I next watch BEAVER (I’ve seen every episode multiple times now, but it’s a series that is always fun to revisit). Thanks for including the dialogue at the train station. It sounds so natural–it just confirms what an awesome job the writers did week in and week out. 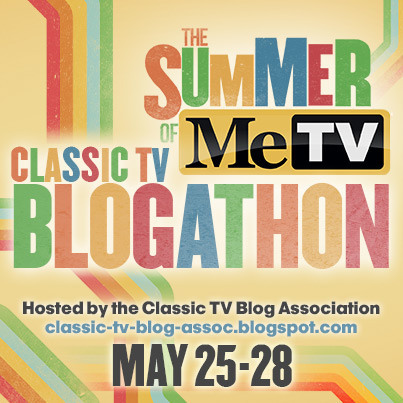 Thanks for a great contribution to the Me-TV Blogathon. Thanks for commenting! I do think Mosher and Connelly had a special knack for dialog, which makes sense since they came from an old-time radio background (mainly writing for Amos and Andy). A friend of mine might disagree with you on the subject of Ward Cleaver. He always thought Ward was a horrible example of a dad, and would often riff for a half-hour as to why this was so. (Sadly, I can’t do it justice.) I think that’s one of the reasons they had Fred Rutherford around…to make Ward look better. My mother breaks out in a case of wrinkle face whenever I watch a rerun of Leave It to Beaver but I’m not ashamed to admit that the show still plays funny to me. It’s held up all these years because it’s pure and simple character comedy: I’d be hard pressed to think of a “joke” from the series but the situations and characters (there has never been a character on TV like Larry Mondello, who was going to have to spend a lot of time in therapy when he grew up) still resonate in the mind. Most of all…it’s funny. That’s funny–Ward seems so inoffensive; I can’t imagine anyone getting worked up about him. I guess we all have characters that rub us the wrong way, though. I don’t think anyone could understand the deep, abiding hatred I have for Casper the Friendly Ghost. I agree that the characters are great, especially the kids’ friends. Mosher and Connelly supposedly drew upon their own childhood friends and their kids’ friends for those characterizations. An excellent insight into one of our favorite TV dads! I agree with Mr. Yeary : too often Leave it to Beaver is considered “entirely fictional” or “unreal”, but if you watch the episodes carefully, the boys are not goodie-two-shoes and are continually getting into scrapes which Ward and June try to handle with patience ( or sometimes not ). I find Ward and June’s remarks as entertaining as the boys. ( Although Gilbert was a hoot! ) Even Father Knows Best didn’t make Robert Young out to be a perfect dad; he always made mistakes, but he tried to learn from them and in the process become a better father. Thanks for commenting! I agree with you about Ward and June–as a kid, I didn’t focus on their comments, but as an adult, I really enjoy them. A show that can appeal to both kids and parents is a rarity these days. I haven’t seen Father Knows Best for a long time, but you’re probably right that its portrayal of fatherhood is more nuanced than the title would suggest. Ivan’s comment is right–Fred Rutherford, Lumpy’s dad, Larry’s father, and even Eddie’s father stand in contrast to Ward’s repeated attempts to be kind, compassionate, and more understanding. Love your approach in this essay–very thought provoking! Terrific post, Amy. It’s such a pleasure to read a piece that really digs into the deeper significance of a program. One of the things that attracts me to classic TV is how it functions as a primary source document, as it were, for the stucy of the culture at large at a given time Very interesting! Thanks! I can never resist trying to analyze–probably over-analyze–the historical and cultural context of old TV shows and movies. I really appreciate your comments because I just love your site. The old TV Guides provide a fascinating window into the past. I truly love your website.. Pleasant colors & theme. Did you build this amazing site yourself? Please reply back as I’m attempting to create my own site and would like to learn where you got this from or just what the theme is named. Thanks! Thank you! It’s actually just one of the free WordPress.com themes–Dawn to Dusk.